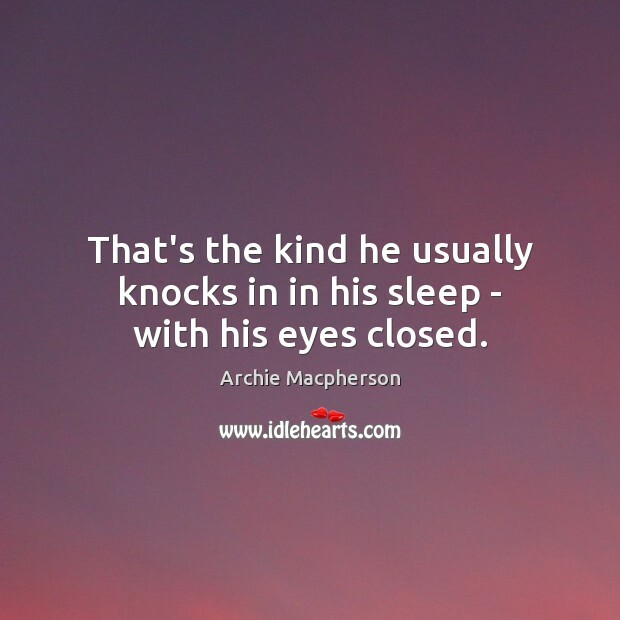 Enjoy the best inspirational, motivational, positive, funny and famous quotes by Archie Macpherson. Use words and picture quotations to push forward and inspire you keep going in life! 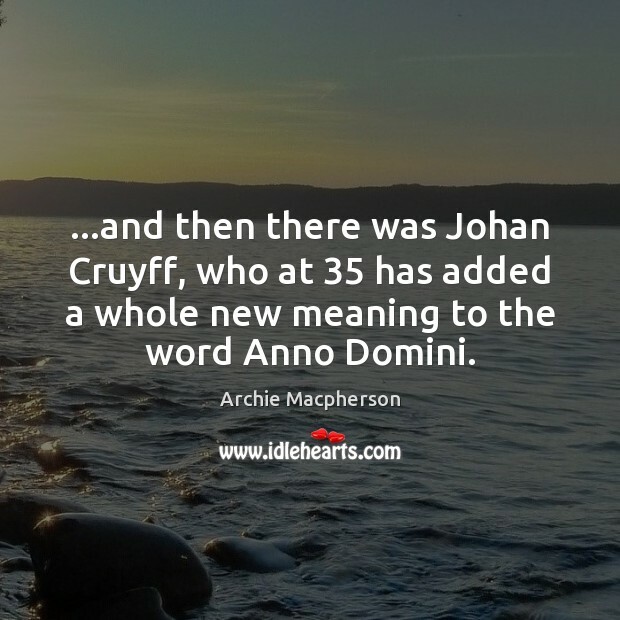 ...and then there was Johan Cruyff, who at 35 has added a whole new meaning to the word Anno Domini. 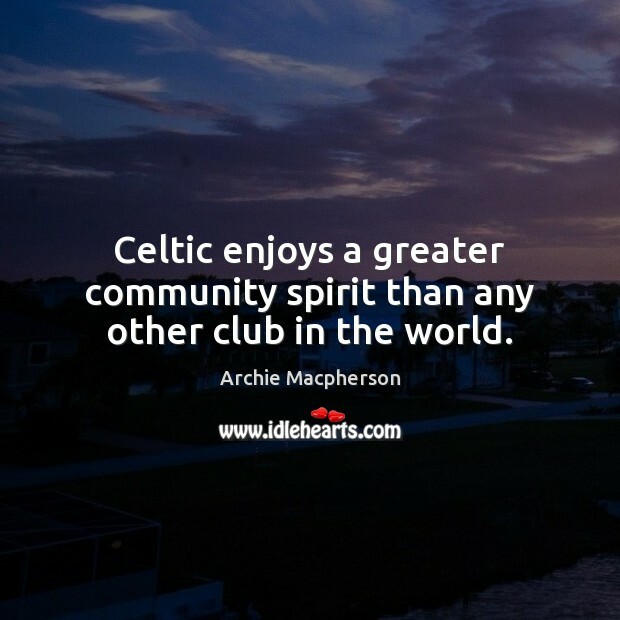 Celtic enjoys a greater community spirit than any other club in the world. 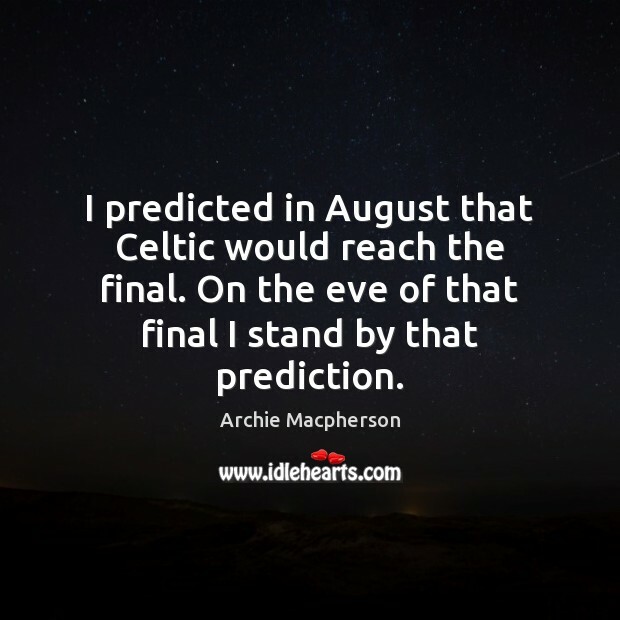 I predicted in August that Celtic would reach the final. On the eve of that final I stand by that prediction. That's the kind he usually knocks in in his sleep - with his eyes closed.